Las Vegas is home to more than just world class casinos – this famous tourist destination is also a hot spot for Hollywood film makers and blockbuster storylines, providing the backdrop for such famous movies as The Hangover, Viva Las Vegas, Fear & Loathing in Las Vegas, Con Air and Ocean’s Eleven. 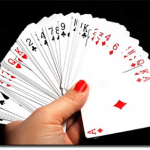 Now, thanks to Jackpot City, one lucky player has the chance to walk the strip and visit the sites of these film locations, playing blackjack at some of the world’s most famous land based casinos along the way. 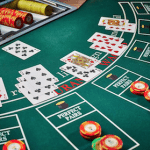 If you’ve ever played blackjack at Jackpot City, you’ll know that this casino is no stranger to big bonus offers, but the newly launched Movies in Jackpot City promotion is enough to leave us gobsmacked. From now until the 30th of June, simply using your Twitter account could see you flying in style to Las Vegas to be pampered with all kinds of movie star luxuries. To be in the running for this incredible prize, sign into your Jackpot City account, head to the Movies in Jackpot City promotion page and click to enter. 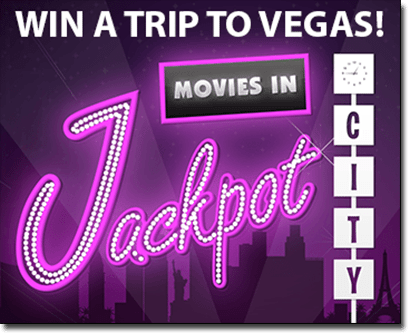 You’ll be redirected to your Twitter login screen where you’ll be prompted to log in and submit the auto-filled Tweet stating “I’ve just submitted my entry for a $10k Vegas trip PRIZE @jackpotcity www.moviesinjackpotcity.com #MoviesinJackpotCity”. If you don’t have a Twitter account, now is your time to join. To boost your chances of winning further, you can double your chances by following the links within Jackpot City to share this competition on your Facebook page. There’s also a quiz you can take to test your Vegas movie trivia – get the answers correct and share your victory on Twitter to receive an additional entry to the prize draw. The winning entry will be drawn at random and there’s no purchase necessary in order to win. Simply sign in at Jackpot City, Tweet your entry and pray that luck is on your side. If you’re new to Jackpot City, follow our links to sign up for a new account and you can claim up to $1600 in welcome bonuses. Jackpot City offers a great range of Microgaming blackjack variants including Atlantic City Blackjack, Classic Blackjack, Multi-Hand Blackjack, Double Exposure Blackjack, Spanish 21 and Vegas Downtown Blackjack, so you have plenty of chances to hone your skills before potentially heading off to play in the real Vegas casinos. Head to Jackpot City today for your chance to win.